117 THE COPPICE, WOODFARM ACRES, PALMERSTOWN, DUBLIN 20. 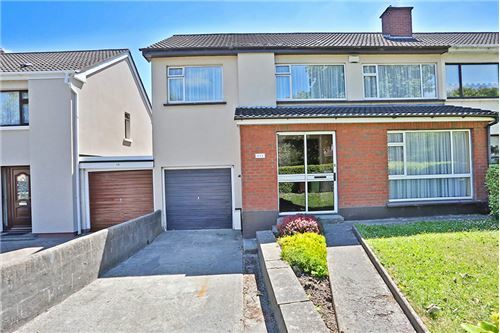 Selected Top 10 International Selling REMAX Agent for 2017 out of 115,000 Agents, Team Lorraine Mulligan of RE/MAX Results welcomes you to this spacious five bed semi with a garage with a sun trapped west facing back garden in the highly sought after “Woodfarm Acres” in the village of Palmerstown. 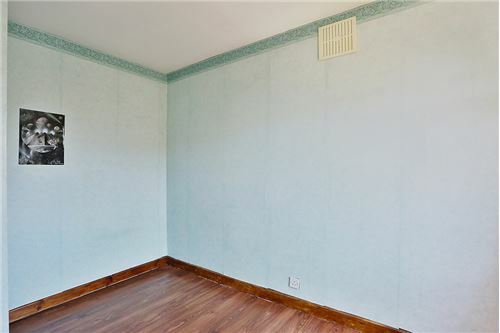 This property does need modernisation and upgrading but boasts massive potential and endless opportunities. This is the ideal property for the discerning buyer who wishes to make their own distinctive and tasteful personal stamp to a property where they select exactly how they would like their new property to look. 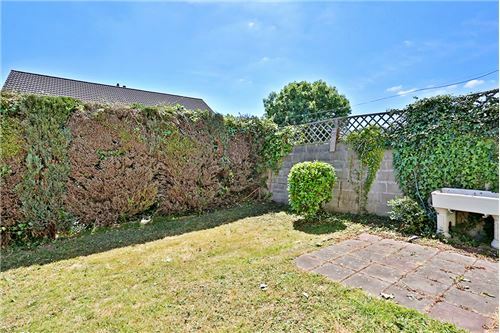 This is a solid genuine property and is surrounded by excellent neighbours who take great care of their homes and gardens. There is a wonderful sense of community here. 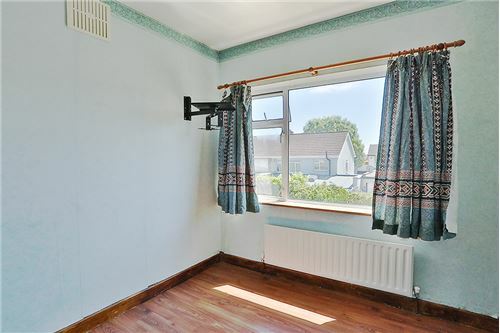 This home is located right in the vibrant and bustling village of Palmerstown and No. 117 is only 5 kilometres from Dublin City Centre and is within walking distance of a very well serviced bus corridor as well as shop, schools, sporting amenities and excellent facilities. Palmerstown is extremely well serviced with an excellent road infrastructure system with quick access to the M50, M4 and N4. Fitted kitchen, tiled splashback area, area fully plumbed, ceramic tiles. Centre rose, light fitting, wall lights, curtains, carpet, t.v. point. 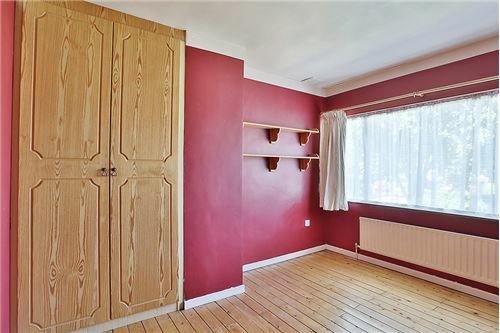 Coving, centre rose, light fitting, wooden floors, sliding patio door leading to garden area. Attic access, carpet, folding attic stairs. 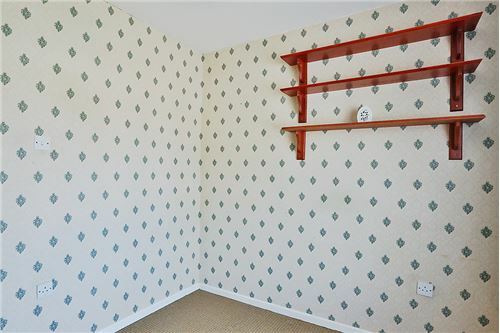 Light fitting, fitted wardrobes, curtains, carpet. 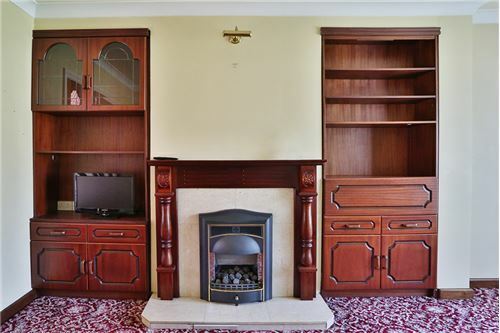 Coving, light fitting, fitted wardrobes, curtains, wooden floor. 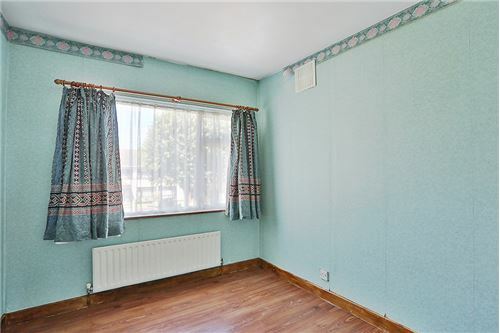 Light fitting, curtains, floor covering. Wall tiling, floor tiling, W.C., W.H.B., electric ‘’Triton T90Xr’’ shower, bath. 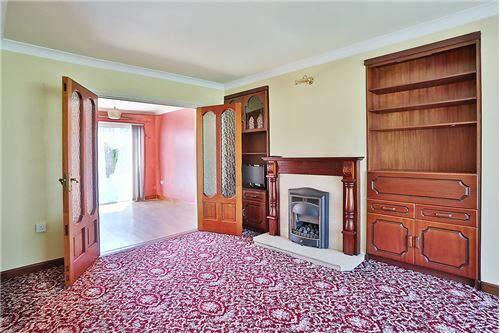 FOR SALE BY PRIVATE TREATY 117 THE COPPICE, WOODFARM ACRES, PALMERSTOWN, DUBLIN 20. 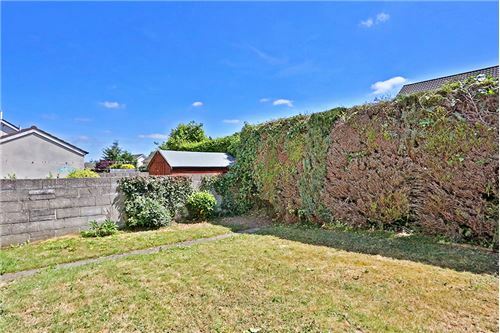 Selected Top 10 International Selling REMAX Agent for 2017 out of 115,000 Agents, Team Lorraine Mulligan of RE/MAX Results welcomes you to this spacious five bed semi with a garage with a sun trapped west facing back garden in the highly sought after “Woodfarm Acres” in the village of Palmerstown. 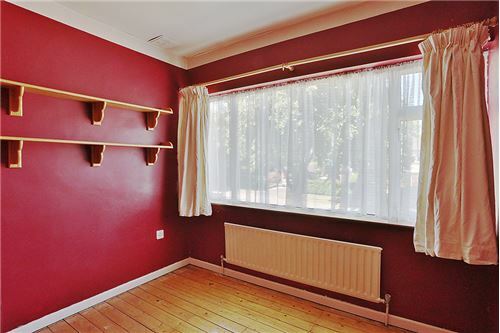 This property does need modernisation and upgrading but boasts massive potential and endless opportunities. 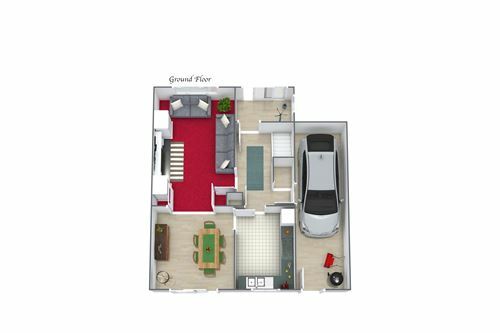 This is the ideal property for the discerning buyer who wishes to make their own distinctive and tasteful personal stamp to a property where they select exactly how they would like their new property to look. 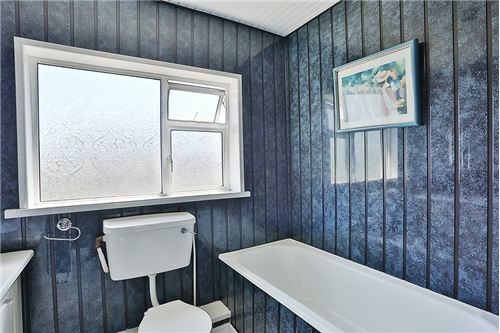 This is a solid genuine property and is surrounded by excellent neighbours who take great care of their homes and gardens. There is a wonderful sense of community here. 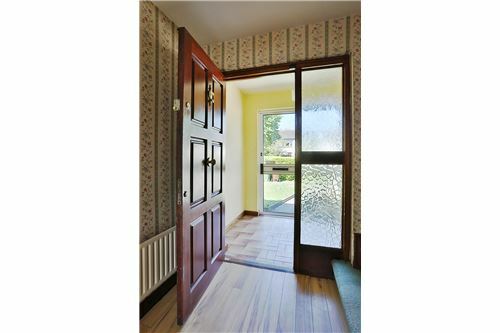 This home is located right in the vibrant and bustling village of Palmerstown and No. 117 is only 5 kilometres from Dublin City Centre and is within walking distance of a very well serviced bus corridor as well as shop, schools, sporting amenities and excellent facilities. Palmerstown is extremely well serviced with an excellent road infrastructure system with quick access to the M50, M4 and N4. 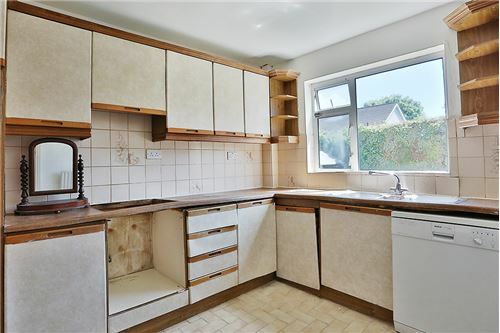 VIEWINGS HIGHLY RECOMMENDED INTEREST IS SURE TO BE STRONG CALL US TODAY TO ARRANGE A VIEWING ACCOMMODATION KITCHEN: 3.32M x 2.92M Fitted kitchen, tiled splashback area, area fully plumbed, ceramic tiles. 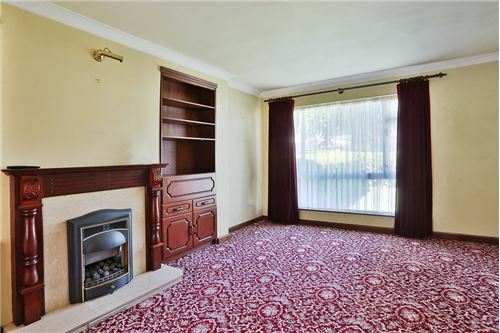 SITTING ROOM: 4.87M x 3.60M Centre rose, light fitting, wall lights, curtains, carpet, t.v. point. 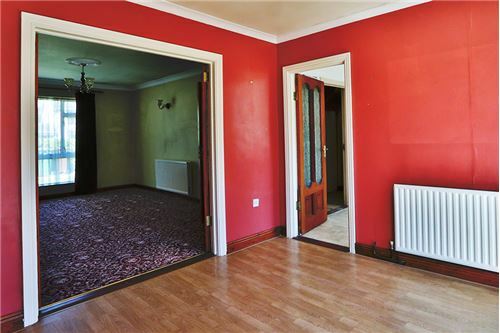 DINING ROOM: 3.40M x 3.36M Coving, centre rose, light fitting, wooden floors, sliding patio door leading to garden area. 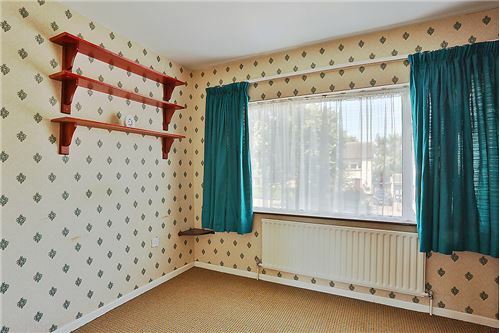 HALL WAY: 3.48M x 2.48M Light fitting, wooden floor, carpet on stairwell, downstairs storage, door leading to the garage LANDING: 2.43M x 1.71M Attic access, carpet, folding attic stairs. 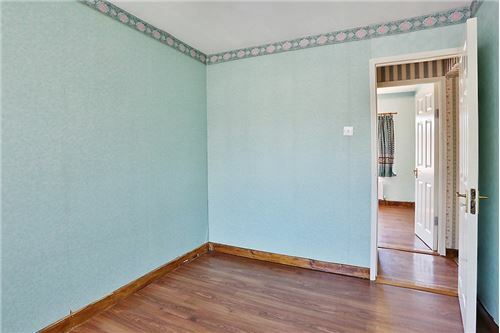 BEDROOM 1: 3.47M x 3.22M Light fitting, fitted wardrobes, curtains, carpet. 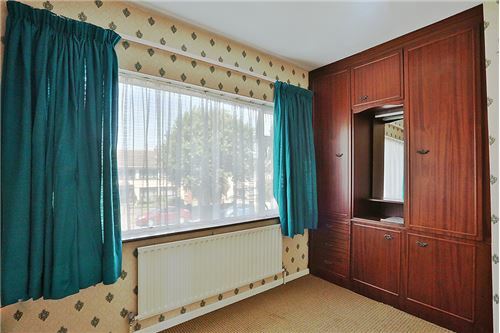 BEDROOM 2: 3.61M x 2.64M Coving, light fitting, fitted wardrobes, curtains, wooden floor. 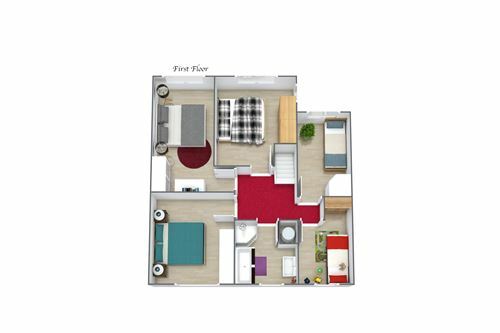 BEDROOM 3: 3.62M x 2.49M Light fitting, curtains, floor covering. 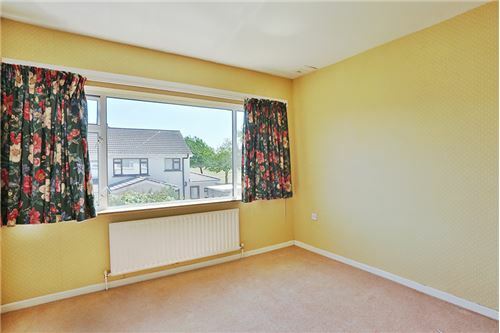 BEDROOM 4: 3.43M x 2.49M Light fitting, curtains, floor covering. 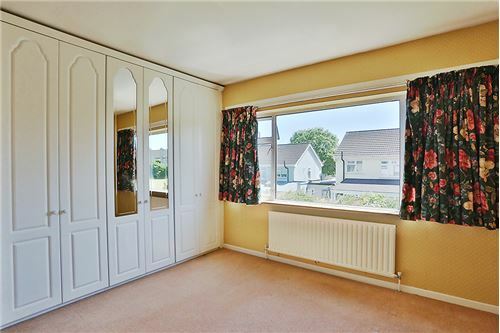 BEDROOM 5: 2.74M x 2.68M Light fitting, fitted wardrobes, curtains, carpet. 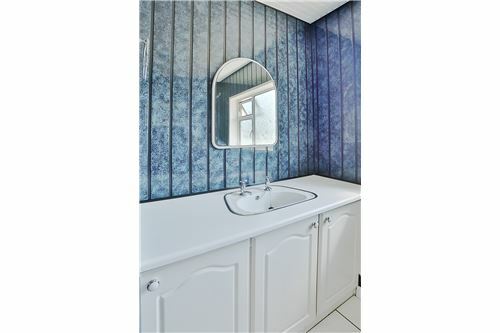 BATHROOM: 2.60M x 2.42M Wall tiling, floor tiling, W.C., W.H.B., electric ‘’Triton T90Xr’’ shower, bath. GARAGE: 7M x 2.51M FEATURES INTERNAL: • All curtains & carpets included in the sale • All blinds included in sale • All light fittings included in sale FEATURES EXTERNAL: • PVC double glazed windows • Outside light • Mature gardens • Property located in a quiet cul de sac • Property not overlooked • Garage SQUARE FOOTAGE: C.103sqm/C.1,110sqft (This does not include the garage measurements) HOW OLD IS THE PROPERTY: Over 40 years old BACK GARDEN ORIENTATION: West facing BER RATING: E1 BER NUMBER: 111199386 SERVICES: Mains water, mains sewerage HEATING SYSTEM: Natural gas fired central heating.